SEREMBAN: Motorists travelling along the North South Expressway (NSE) will have another easier access into Seremban and its surrounding areas with the opening of the Bandar Ainsdale toll plaza today. The new interchange at Km267.8 of the NSE will also allow motorists from Seremban, including the new townships of Seremban 2, Bandar Seri Sendayan, Bukit Kepayang and Bukit Galena to enter the NSE. There will be five fully electronic toll plazas for those entering the NSE from Bandar Ainsdale, while motorists exiting the area will go through five electronic toll plazas and one cash toll plaza. 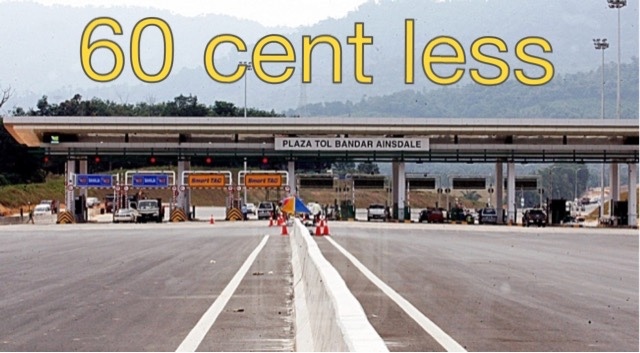 It is also reliably learnt that motorists will be charged 60 sen less in toll fares from Seremban to Kuala Lumpur if they enter the NSE from Bandar Ainsdale. Mentri Besar Datuk Seri Mohamad Hasan said the opening of the Bandar Ainsdale toll plaza will ease congestion at the existing Seremban/Labu toll plaza.